While attending NYU Greenberg co-founded the Almost Holden Collective with a group of like minded artists from a variety of mediums. Almost Holden existed to encourage artists from different mediums to collaborate in creative ways. Almost Holden Collective is a multimedia arts community based in South California & Lower East Manhattan. DIY since MMVII, AHC supports local UNDERGRND. 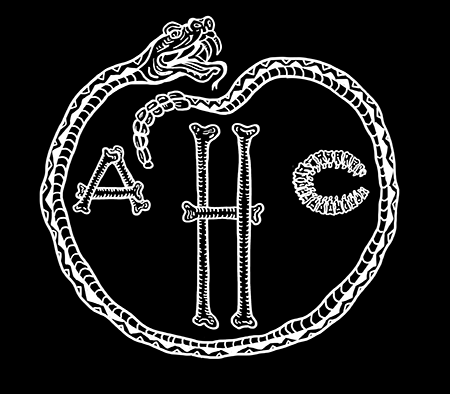 + 2007-2012, AHC forms as an underground arts community created by young NYU art students to inspire and collaborate across mediums. + 2013, the multimedia collective moves from the Lower Eastside to Santa Monica, CA to open AHCOLLECTION – a studio/gallery, “dedicated to the education, production and multimedia display of great independent art.” After months of detailed renovations to the space, AHC opens on April 19th, 2013 with the debut show, ”HAVANA MVERTE“, a multimedia installation transforming the gallery into contemporary Havana. + 2014, Almost Holden Collection is the west LA venue for music and multimedia workshops. The space is featured in the Santa Monica Mirror , LA Weekly, Lo-Pie.com, radio stations KCRW, KCHUNG and KXLU, and listed alongside legendary venues as The Troubadour, Echoplex and The Smell for “Best Small Venues in LA” [LAist.com]. + 2015, after months of design and construction, AHC presents their first major multimedia event, AYATANA I – a sixth sense experience – hosted at AB Ranch in Santa Paula, CA (Ventura County). The event introduces the Southern California arts community to the newest Almost Holden event and production space.